Police on Monday released the mugshot of a man suspected of robbing a Scotts Valley bank last week before leading police on a 30-hour-plus manhunt. 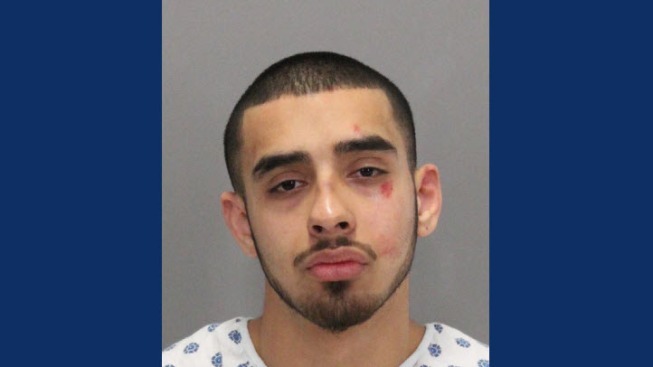 Cruz Vargas, 21, was arrested for his role in last week's spree, which turned out to be a lengthy ordeal including the heist of a stolen police cruiser, an hours-long closure of Highway 17 and a home break-in. Three men on Friday were originally apprehended in connection with the robbery and police chase, police said. One of the men was released without being charged. The other man was booked on an unrelated warrant. Vargas will be tried in Santa Cruz County, according to the Santa Clara County Sheriff's Department.